“It is easier to describe Davy’s work than to account for its extraordinary effect. 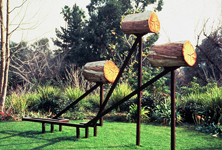 Objects prototypically consist of a few lengths of rusty-looking metal joined in spare upright-and-angle frameworks. Apexes of angles are topped by short, stumpy lengths of log, sometimes fire-scorched, ocasionally replaced by stones. 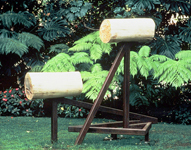 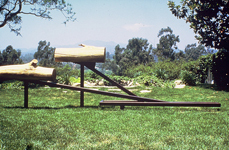 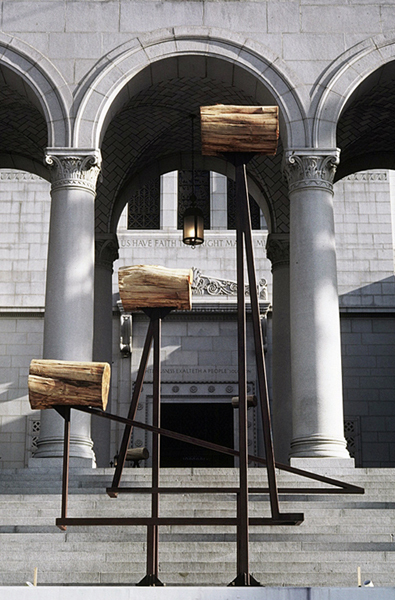 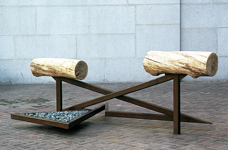 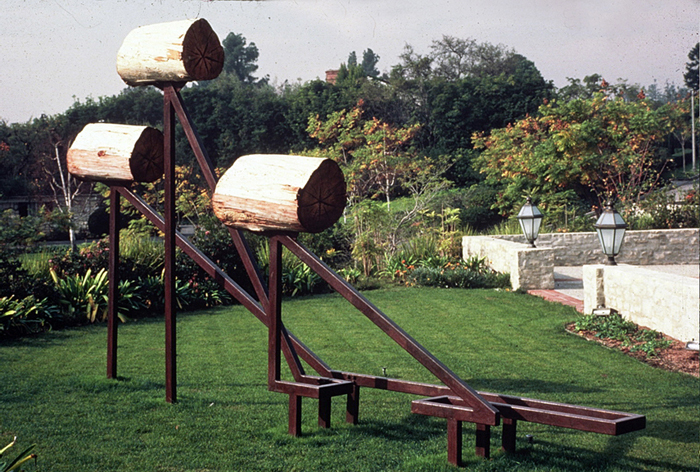 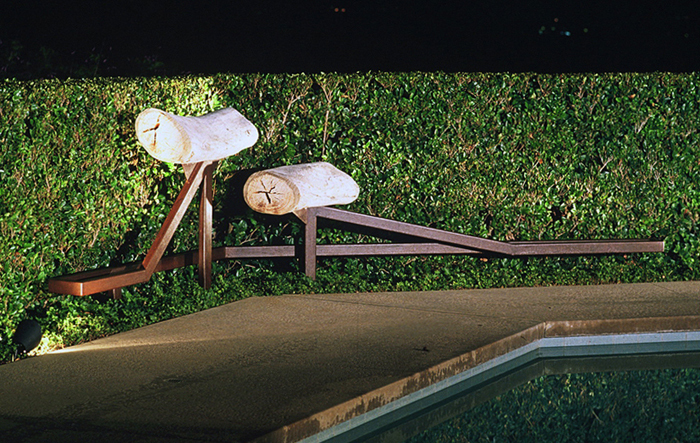 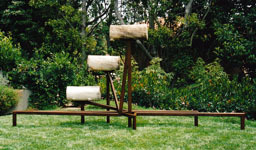 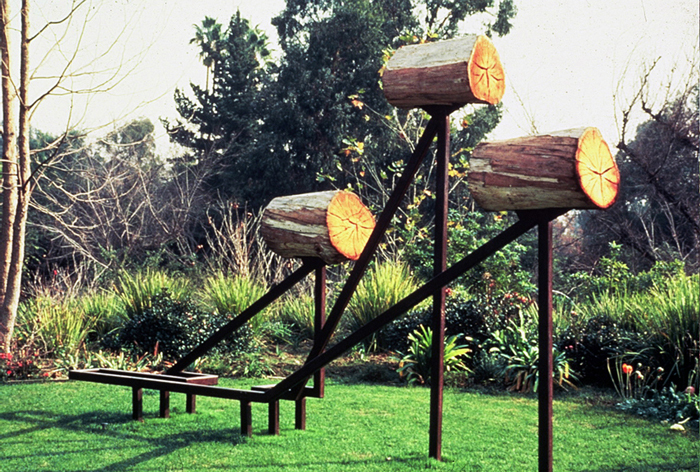 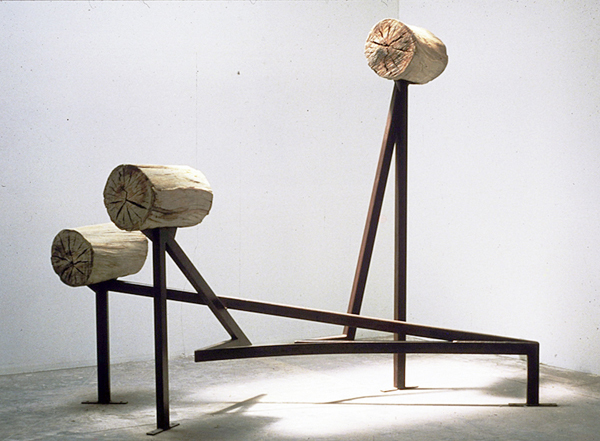 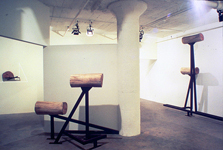 The monumental “Rolling Fork” takes up a whole gallery with just three big angles and logs. 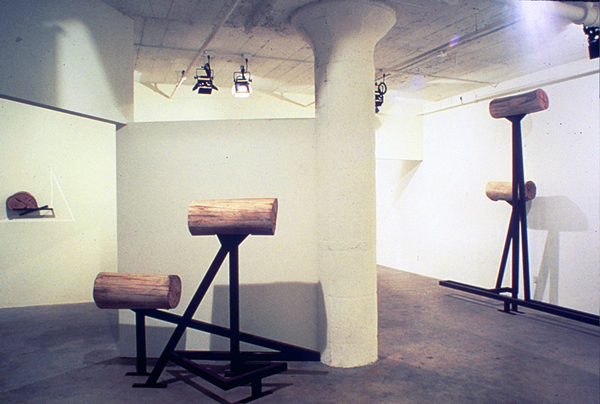 It’s overt formalism immediately gives way to a rich series of associations. It looks like a medieval battering ram or three doomed dinosaurs marching into a quagmire. 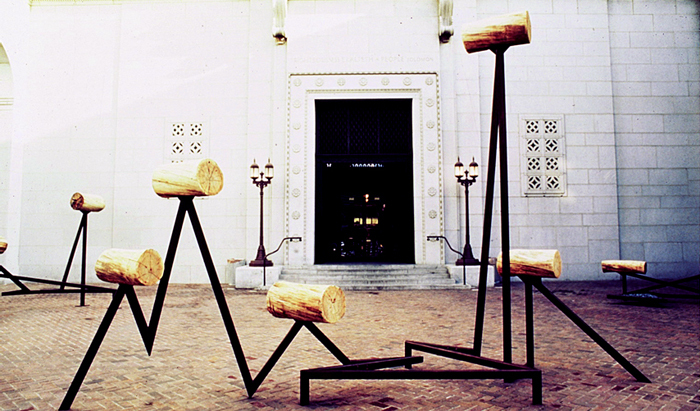 The logs are disembodied cerebral cortices inventing pure philosophy and mathematics. 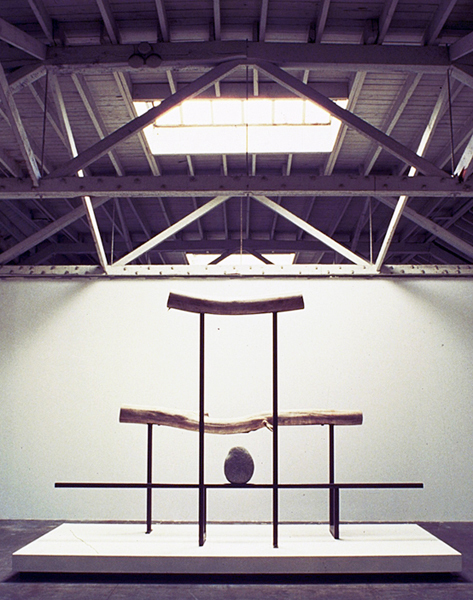 Every work evakes a variation on this almost alchemical mixture of pure formalism and subliminal evocation of imagery and sensation. Five little maquettes in a row suggest everything from a Shinto shrine to the prehistoric postures of the Pilobolus dance troupe.